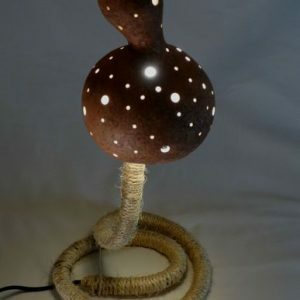 A rustic bedside lamp made of gourd. 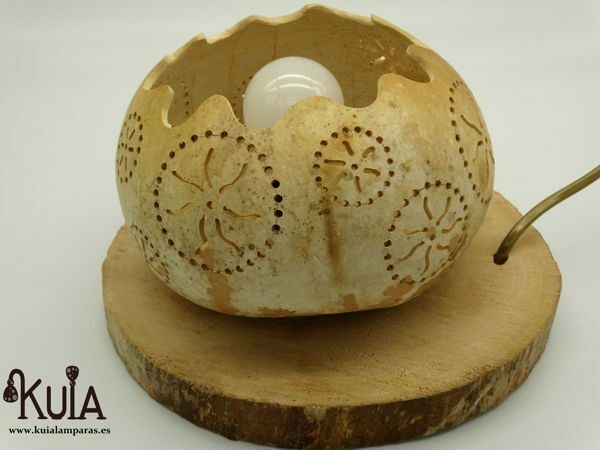 This beautiful lamp has been handcrafted with a gourd that we grow ourselves. 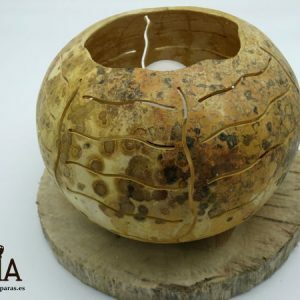 The pumpkin, which after drying for 5 months, acquires a texture similar to wood and will be forever. 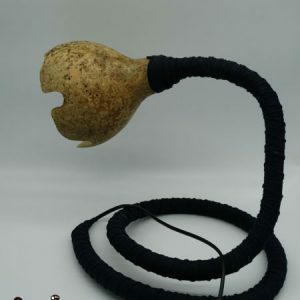 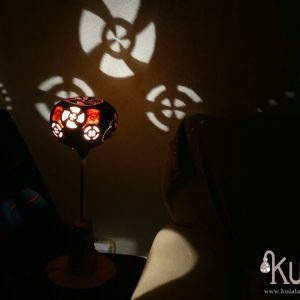 The gourd tulip has been carved by hand, , with some designs of circles with a kind of blades inside, that once lit the lamp will give a beautiful warm and pleasant light. 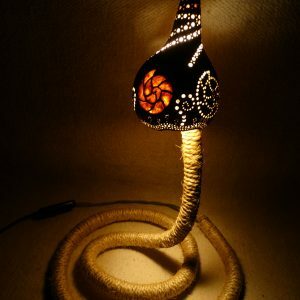 The base of the lamp consists of a piece of wood.